One of the things that Gary and I loved to do as a couple before the Monkey came along was going to the movies. There is just something so nostalgic about the entire experience, we both knew we would want to share that with our children when they came along. Then we had the Monkey and along came all the sensory issues which come with autism. At first we truly thought that we would never be able to make those memories with the Monkey but we found a way to make it work and now the Monkey loves going to the movies as much as we do it just takes a little prep. There are a lot of things to think about when going to the movie – the loudness of the movie itself, the brightness of the screen, the noise from the other movie goers, the smell from all the food, how crowded the movies can be. When we first decided to take the Monkey to his very first movie back when he was 4 there was a lot of planning that went into it but all and all it was a success. You first must determine if your child can sit through not only the movie but the pre movie wait that comes with a movie. We started by having movie nights. 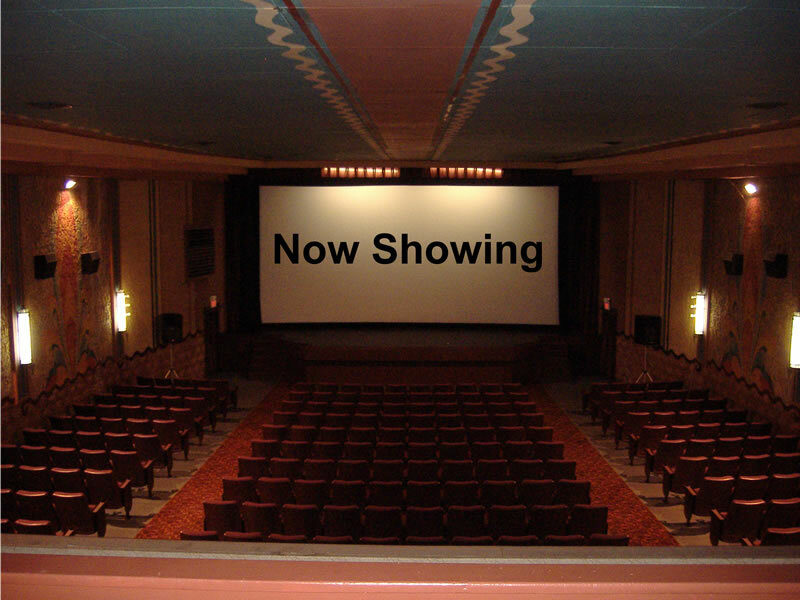 We would rent a move, make popcorn, play the previews on the Bluray (don’t skip these, as tempting as it may be, this helps prep them for the previews at the theater as well), we would dim the lights, and increase the sound. The Monkey has always been really good at sitting through a movie. Even at the age of one he would watch a movie from start to finish, it was the only way that I could get anything done as if he wasn’t watching a movie he was screaming. The reason we did the movie night setting was because the Monkey was non verbal at the time and we needed to show him what to expect, see how he would react to the sound of the tv volume being louder then usual and how he would react to us dimming the lights. Once you have determined that they can sit through a movie start taking little trips to the theater. Let them watch the movie goers as they pay for their tickets, buy there refreshments, and walk into the movie theaters. Most theaters, if you speak with the manager, will also let you take them into an empty theater if you explain why so that they can get a feel for the environment and you can walk them through what to expect. This also gives you a chance to take pictures so that you can create a visual schedule of what will happen and a social story to go along with it. Now that the bulk of your prep is done it’s time to go to the movies. We always go to the theater as early as possible so that we can be the first ones in the theater. There are three reasons behind being early. 1) We want to have plenty of time to go to the washroom before we go sit at our seats. 2) It allows us to sit at the very back so that there will be no one sitting behind us during the movie. This is so there are no noises from whispering children to distract him. 3) It lets him slowly adjust to all the people as they come into the theater. This allows him to get used to not only the number of people there but also to the noises from their voices and the smells from their food slowly as well. If we were to walk into a theater that is already packed, with everyone talking and have to search for a seat he would be completely overwhelmed and we would have to leave. Now that he is older and we have gone to about 10 movies with him he knows what to expect however we still stay true to the top three rules and always go to the theater early so that he can calm his anxiety and truly enjoy the movie once it begins. Having something that we all like doing is a great way to spend a quiet Sunday afternoon as a family. Have you taken your children to the movies? Was it a positive or negative experience?